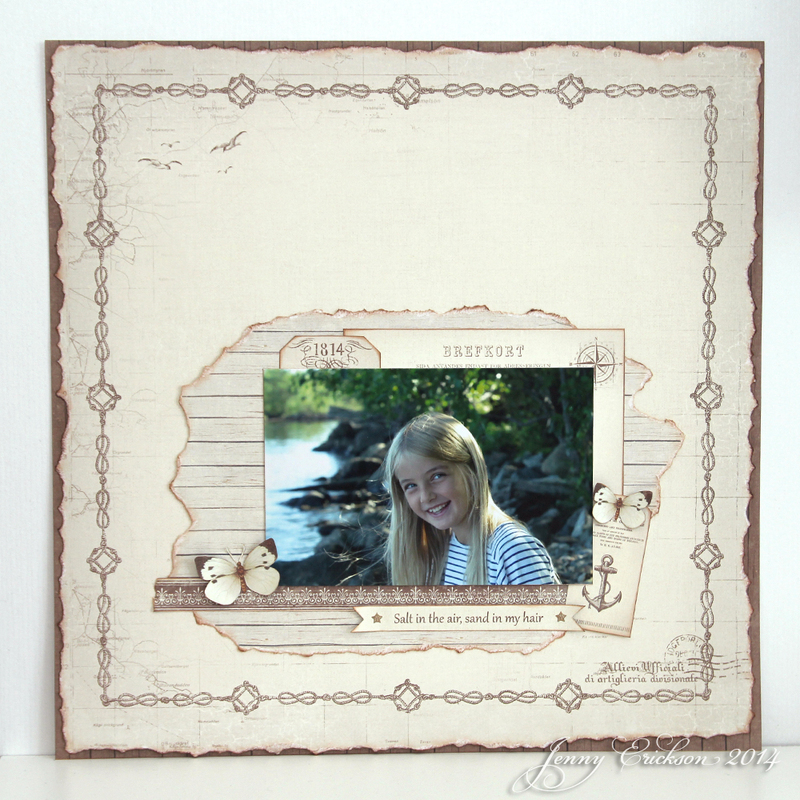 I really enjoy making layouts, and this is my very first one from the new Shoreline Treasures collection. When you have a photo that you want to to highlight I prefer not to add that much decorations, and in this case I thought the papers themselves were decorative enough. I also really enjoy the small quotes that can be found on the Border-sheet, and I think this one made a perfect match to the picture of my friend’s daughter.